Update, 1/6/14: Now down to $595, and a link to the article from SFGate, it’s not obvious from reading the new listing why this car is not selling. Anybody have details? Original post, 12/19/13: Sometimes, deals seem too good to be true, and other times, they look good but likely true. 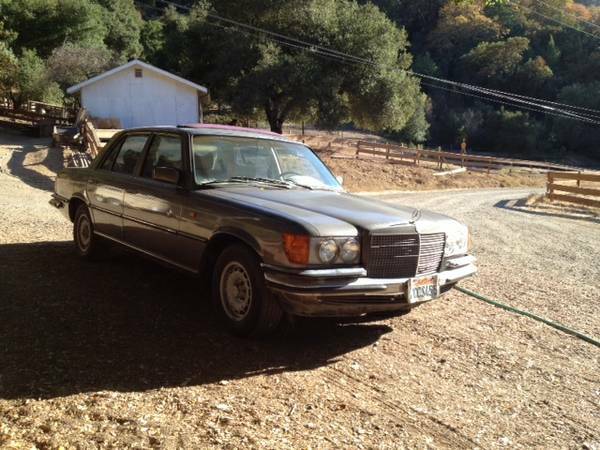 Such is the case with today’s car – in fact, cheap luxury cars seems to be today’s theme – a 1977 Mercedes 280SE for sale in Morgan Hill, CA for a mere $775. It’s a European market car that’s been off the road for 9 years, although the condition gives no clue as to the reason.